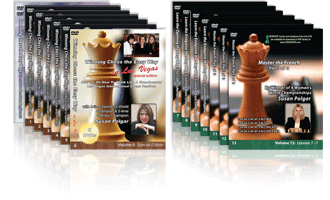 All GM Polgar DVDs are individually $17.95 each. But for great volume discounts, check out Available COMBO SPECIALS on these! COMBO SPECIALS may be purchased online or also by phone at: (504) 208-9596. Or you may call (504) 208-9596 to order either COMBO SPECIAL.